More Creme a la Mode art? But of course! I can't help myself with this box. It just seems to set my brain alight with ideas. This bit of art is pretty self-explanatory. I would venture to call it a classic. It is something that even the noobiest of nail-art noobs could create with very little effort. How do you do it, you ask? 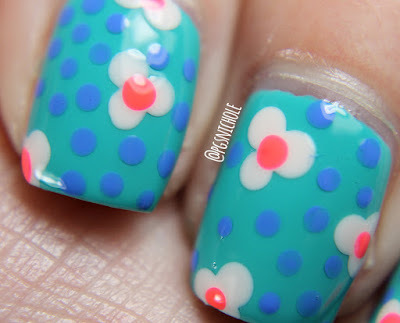 Just apply dots! The best thing about hyper-stylized art like this is that there is no wrong direction! Don't forget! 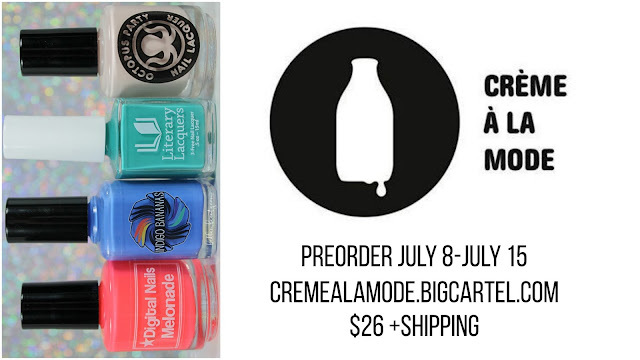 There is still time to pre-order this box! I really love the LL base, it's such a fantastic colour and looks so smooth! 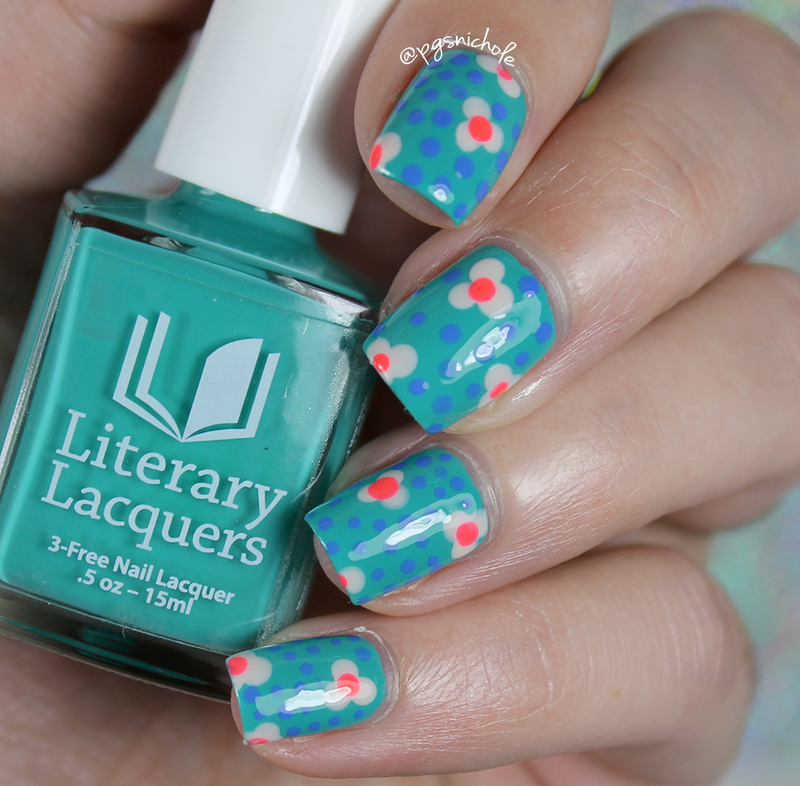 The whole nail art makes me jealous, I am so bad at free handing I can't even pull out dots. Your nail art is great. I wish I could do this. So cute! 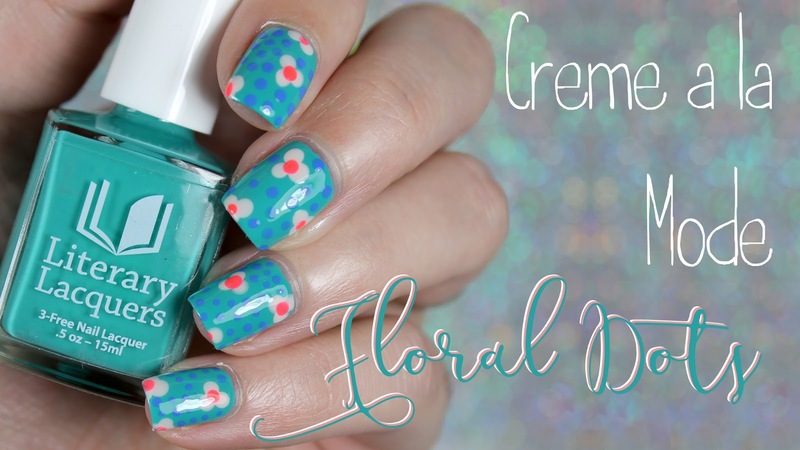 I love floral manicures. Will you PLEASE stop convincing me to purchase these shades?! I have no money! 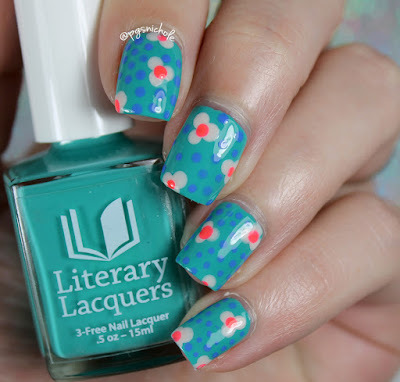 Very cute nail art! I love the colors. I agree with Emily! Very retro. It's perfect! I want an apron with this pattern on it!! I love how you show just how well these CALM boxes go together. I love this, super cute. 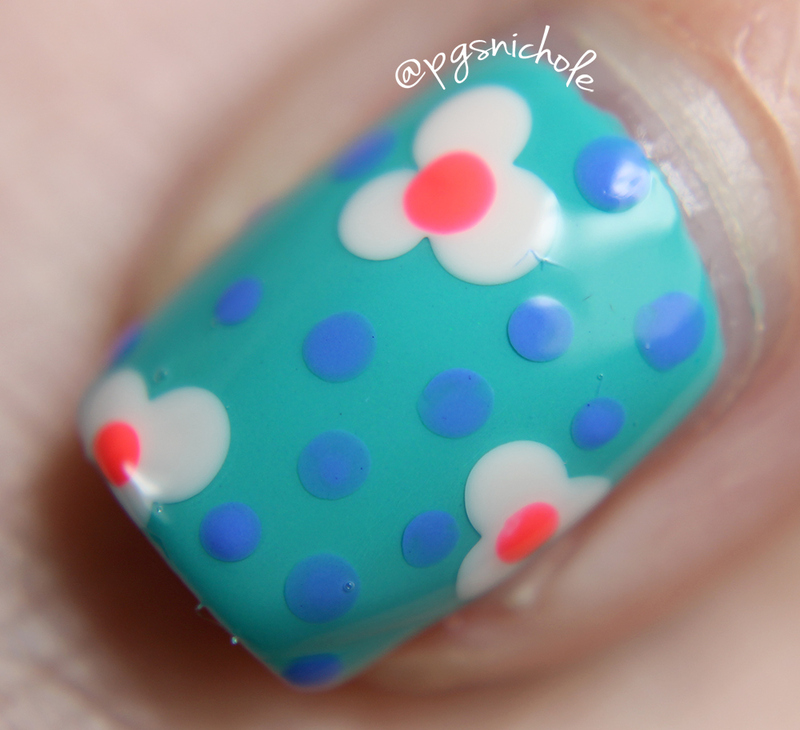 Super cute mani, love this box! Its getting really hard to not get this box. Its practically screaming my name! Such a cute manicure, I can totally do this! Thank you for the inspiration!